It’s been called the Water of Life. Distilled to perfection and brimming with over 500 years of history, Scottish Malt Whisky is no ordinary drink. Aficionados the world over come to Britain’s northern beauty for a taste. Cross Scotland’s craggy mountains and rolling hills to visit its finest distilleries. Begin with a stay at the warm and inviting Glencoe House, a heritage-listed Victorian mansion nestled on the Highlands’ west coast. Take day trips along Loch Linnhe to Oban and Fort William before setting out on an eastward journey across the country. Stopping at such renowned distilleries as Glenfiddich, Glenlivet, and Strathisla, among others, discover the centuries of skill and technique that have gone into the production of Scotch. Walk the grounds and stills, or indulge in more sensory experiences through tastings, personalised bottling workshops, and oak barrel-making. This route is a tempting trail of high-class spirits, traditional Scottish culture, and spectacular scenery. To book your trip now, or to surprise a Scotch-lover you know, speak to your Away by TTI Travel Personal Travel Advisor or Contact Us now. Winding through the Italian countryside, the Appian Way was built by emperors of Ancient Rome as the main thoroughfare of the Empire’s centre. It spanned the southern half of the country, starting in Italy’s capital and ending in beguiling Puglia. 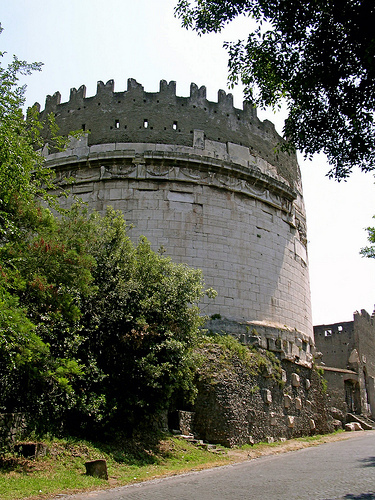 The section leading away from Rome is home to numerous monuments steeped in history. Begin at the Baths of Caracalla, one of the largest thermal bath complexes still standing. The elaborate 3rd-century design is evidence of the opulence of Rome’s elite classes. Constructing temples, altars, and mausoleums along this famous highway was a method of displaying wealth and taste to the many passersby. Under the guidance of an expert docent, highly educated in architecture, classical studies, and history, take in fascinating anecdotes about the culture and people of the time. There is no better way to learn about Ancient Roman history than to experience it first-hand. Our partner Context Travel provides exciting and knowledgeable tours of the Appian Way, either by small group or customised private excursions. Book now to add deep historical value to your Roman holiday by speaking to your Away by TTI Travel Personal Travel Advisor or Contact Us now. For some of East Africa’s wildlife, the hunt for food and water leads them over miles of territory on a yearlong journey. Wildebeests, zebras, and gazelles cross annually from Tanzania’s Serengeti to Kenya’s Masai Mara in search of nourishment. Witness the thundering rush of a million hooves pounding across the plains, or watch as herds venture over alligator creeks to reach safety. Renowned tour operator Abercrombie & Kent offers two versions of the Great Migration safari. Guests can choose to stay in five-star eco lodges along the way to experience the height of African hospitality. Or, for those with a more adventurous spirit, a luxury camping option is available. Both are led by expert local driver-guides who know just where to find the best animal action. This trip is also a cultural immersion. Meet with local tribes, visit archaeological sites, and taste the succulent East African cuisine. Join the adventure - speak to your Away by TTI Travel Personal Travel Advisor today or Contact Us. The spice trade was a great catalyst for world exploration, by both land and sea. Europeans sought ways to bring the seductive flavours of the East back to their eager markets at home. Before them, centuries of commerce took place amongst peoples from the Middle East. Cinnamon, cardamom, turmeric, and pepper passed from port to port, city to city. India was one of the most important countries in the trade, as a primary producer of many desired spices. Its lush and fertile environment was ideal growing territory. And so it remains to this day. Join our partner Cox and Kings for an intimate view into the country’s continuing spice industry. Accompanied by deeply knowledgeable guides, step into the Kerala region on India’s tranquil southern coast for a rich discovery of its many plantations and markets. Dive into this culinary, cultural, and historic adventure to experience the true flavour of Indian life. Speak to your Away by TTI Travel Personal Travel Advisor or Contact Us today to book this exciting voyage for 2015. It’s no surprise that France has inspired so many artists. Almost every corner and curve of the land is heartbreakingly beautiful. While most of the country’s famous painters and sculptors date back to the Impressionist period or earlier, an impressive array contemporary and modern artists have given France a sparkling reputation in the last hundred years. Much of their work is displayed (and created) on the southern coast. Begin in Marseille, chosen in 2013 as Europe’s Capital of Culture. This colourful city is home to several contemporary art galleries, such as La Friche, which was built in a former tobacco factory. Continue along the shore to Nice and stop to visit the excellent Museum of Contemporary Art, Musée Matisse, and Musée Chagall. Finally, travel slightly inland to rural community St-Paul-de-Vence. This is the location of the Maeght Foundation, a world-renowned collection of works from the 20th and 21st-centuries. Built in partnership with Braque, Giacometti, Chagall, and other distinguished artists of the 1960s, this gallery contains one of the world’s finest collections. This year, it celebrates its 50th anniversary with a special exhibition. Chocolatine, specialists in custom travel, have led the likes of the Smithsonian and the Art Institute of Chicago on art tours throughout Southern France. To book yours, speak to your Away by TTI Travel Personal Travel Advisor or Contact Us here.